A19 diameter with 1100 high lumen output make it a smaller but brighter LED bulb. 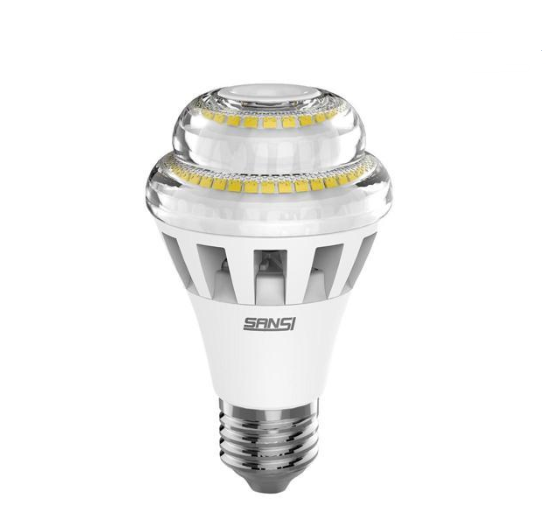 SANSI patented ceramic heat dissipation technology along with the hollow-out structure greatly improved cooling efficiency, prolonging the lifespan for the bulb. Premium ceramic used makes the bulb insulated, heat dissipated, high-temperature resistant and corrosion resistant. Rest assured that it will be more stable and saver. -ontaining no UV, IR, toxic mercury or lead.